Billabong Occy’s Grom Comp runs from June 30th to July 4th. 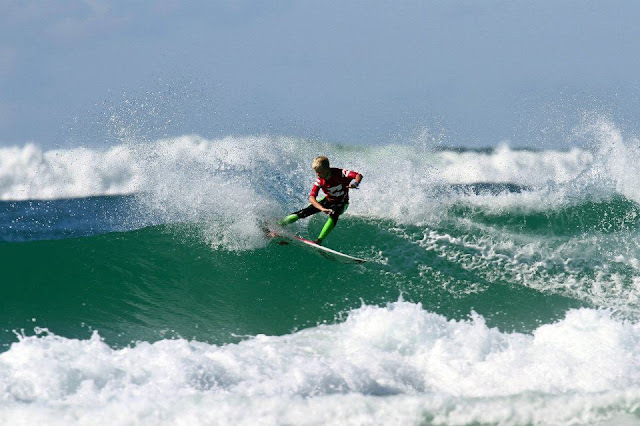 The Grom Comp is an international event with competitors travelling from all surfing states of Australia along with international surfers from South Africa, the United State of America, New Zealand, Tahiti and Japan. Good luck to all the Le-Ba groms in the event. The event kicked off today in solid 3' - 4' waves at D'Bah. The whole first round of the U16's and half the U14's ran today. Mikey Wright and Jake Snellgrove both posted wins and moved into round 2. Unfortunately Rhys, Aeran and Blake bowed out. Luke and Zak Condon will be up tomorrow in the U14's as well as round 2 of the U16's. The event continued today in clean 3'+ waves at D'Bah. Mikey and Jake both progressed thru to the final 20 in the U16's. In the U14's Zak Condon is into the round of 16. Luke Condon was unlucky to be eliminated in a tough heat. A big day today for the LeBa crew. In the U16's Jake Snell proved that he has the goods when it comes to elite competition and moved into the final 12. Unfortunately Mikey Wright's event finished in the round of 20. Mikey McDonagh made a statement with a big win in his first round heat of the U12's. In the U14's Zak Condon couldn't repeat yesterdays form and finished 9th, well done mate. In the U16 girls Cali McDonagh cruised into round 2.